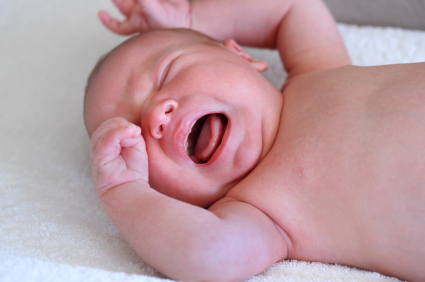 Does teething really cause babies to wake at night? My previously good sleeper is now waking up at 11 month old one or two times a night. Should I be getting him up to give him medication or should I be rubbing his belly back to sleep? Is teething to blame for babies waking at night? What a great question. In my opinion and experience working with thousands of babies over the years – teething doesn’t cause babies or toddler to wake anywhere near as much as it gets the blame! Everyone is quick to blame teething for anything that involves – night waking, crying, grizzling, bad behaviour, chewing or putting anything in their mouth or general discomfort. The reason we all blame teething is twofold – one it becomes an excuse for any type of undesirable behaviour or general grumpiness and second we are always looking for a reason as to ‘why’ and teething cops the blame far more than it should! The experts in child health have a variety of opinions – as does anything to do with babies it seems – but generally the consensus is that teething is uncomfortable when you see the lumps under the gums and generally only lasts a week or two at the upmost! So if night waking has persisted longer than this, then it is not teething. Teething may have started it – but usually doesn’t last anymore than a few nights. What to do for teething at night? If you are fairly sure, i.e. Lumps under the gums, teeth cutting through and other grizzliness etc then use some baby Panadol or baby Neurofen at the first night waking and your baby should settle within 10-15 mins back to sleep. If your baby doesn’t settle then the night waking isn’t teething related. I would advise you to avoid helping him to get back to sleep in some way, calming is okay for a few minutes however without actually realizing that this has become your baby’s sleeping cue when they wake during the night. So do what you need to do and then let him go back to sleep and you as well. Be sure to only use medication for a few nights in a row, you certainly wouldn’t want to be using it every night for two weeks – check the directions on the bottle. You can also give medication when initially going to bed. There are other options for teething, however they are best used during the day when you can observe your baby using rusks, cold teething rings etc. Also do not leave your baby to sleep in an amber teething necklace as they are a proven choking hazard.